Gloucester, Westonbirt, Wells, Bath, Bristol and others. Know when you want to fly? If you know when you want to fly, you can buy a voucher and request your flight date. You can check availability or request a specific date. Finally which day you wish to fly on and you are ready! Don't know when you want to fly? We have a variety of different flights available throughout the week. We can offer you an extensive choice from our specially selected flight areas. 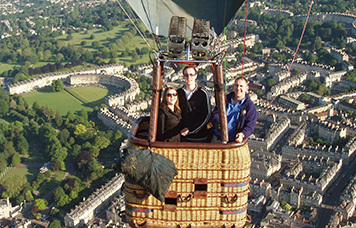 They offer a unique mix of city and country flying with spectacular scenery and landmarks. We are passionate about ballooning. 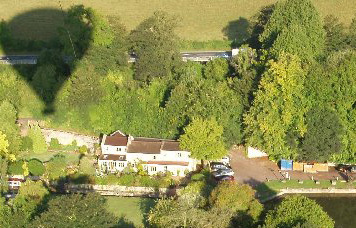 In 1978 Ballooning Network was the first company to be awarded a British Civil Aviation Authority Certificate for passenger flying. Ever since then, and the launch of our first Champagne passenger flight, we have pushed to go further and aim higher in delivering the best possible passenger ride experience. Here you can watch the view as if you were in the basket. Click below to get a taste of what your flight could be like. A selection of images and those from the Gallery above may be available for business use. Please contact marketing@balnet.co.uk with your requirements. There are many offers online, check those companies Trip Advisor reviews before you buy! We are a family run business, the oldest established balloon ride company in the UK (established 1978), the first to be approved by the Civil Aviation Authority and have flown many happy passengers ever since! Also we do not pass on credit card or similar transaction charges as additional extras. We schedule flights 7 days a week throughout the main flying season (March to October) from our departure points, can nationally based companies say this? 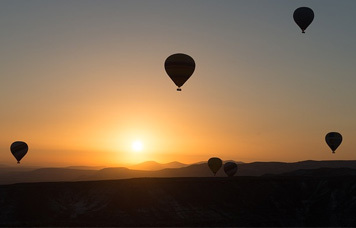 You don't have to wait months to book your flight, so come and have an experience of a lifetime with Ballooning Network. 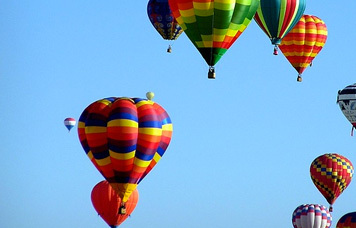 A balloon flight is an unforgettable experience! If you are looking for a great gift, or just fancy fulfilling that life-long dream for yourself, we can provide the experience you are looking for. 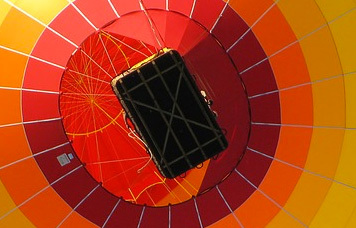 Your balloon flight voucher can be ordered and delivered via email. You can choose to have the voucher sent to yourself or direct to the recipient together with a personalised message. If you would prefer to purchase your voucher by phone, or you have a query, please give us a call. If you would like to flying during the winter take a look at our Exclusive Flights, these are available all year round. Contact us to discuss flight dates, we may be able to get you on a flight in the next few days, or perhaps you would like to book a specific date for that special occasion. 'Where we fly from' (above) shows where our launch sites are located, why not come along and enjoy a great hot air balloon ride, together with a complimentary glass of champagne (or orange juice) on us! If you have a question about ballooning please read our Frequently Asked Questions (including meeting times) / Your Balloon Flight - What To Expect pages, or contact us, we will be happy to answer any queries you have regarding the ballooning experience or we can assist you with your purchase. Just visiting the area? Please give us a call to discuss the options available to you, or send us an email confirming when you would like to fly and which area you would like to fly from.